Rajkumar is an airline commercial professional with a unique blend of experience leading strategic group marketing for AirAsia, leading country marketing for the Indian subcontinent and regionally managing country markets across South East and North Asia markets. 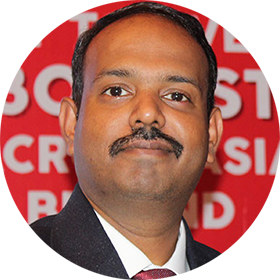 He was a key member in launching AirAsia India which was opened for sale in record time of just 2 working days; fully leveraging social media, digital and PR for the quick turnaround. He is a specialist leader in airline marketing with immense experience in emerging markets with proven success.